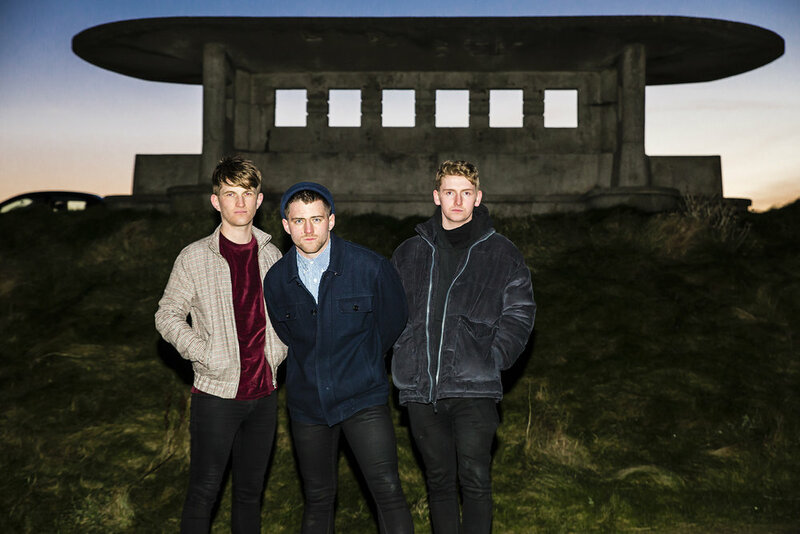 A raw, emotionally charged trio from Letterkenny, For Foresters create music to change the world for the better. Myself and Gary made our live debut at our 6th class primary school rock concert. We went on to make a band. Conal and I are cousins. He felt a bit left out so he wanted to do whatever was left and it just happened to be bass. We've been playing together since. Do you think that being based in Donegal has had an influence on your sound? One hundred percent. Nature and surroundings are what from everything grows from. It shapes you. Art is no different. You have to fight harder being from Donegal. You're hidden away. You won't get recognised unless you're music has worth so that's what we always strived for. As well, being from Letterkenny you're usually anywhere between 1 to 24 hours from the venue. We travel to our shows in my father's old Hyundai Santa Fe. We listen to the Lost In The Dream album by The War on Drugs a lot in this jeep. Fleetwood Mac on the motorway, and always 'One of These Nights' by the Eagles as we begin to drive home the morning after a show. These trips in themselves has a huge influence on our performance and vibe. What non-musical influences have shaped the band? Life sham. For Foresters is for art, for expression and for us. Everything we speak about or create for is a direct reflection of our own experiences or thoughts. The notion of honesty seems important to you? Honesty is essential for what we do. No one can tell a story of what we've been through apart from us. We couldn't write a lyric just to be relatable. We have to be real, raw and truthful. It's the only pure way for someone to feel something from our words. If you bare yourself in front of listeners they then become more comfort in baring their themselves to themselves. This year we plan to awaken anyone who listens to us. Last year we had a tireless summer of festivals both here and in England. We spent a lot of time on our sound and developed our live shows to a place that someone could come out, dance and have a good night to us. Now we want to blend that with what the true meaning of For Foresters is. People in Ireland are ending their life prematurely. People still don't feel like it's okay to talk about abuse. People believe they aren't allowed to be who they really are. Our country is depressed. We want to create art to change this.